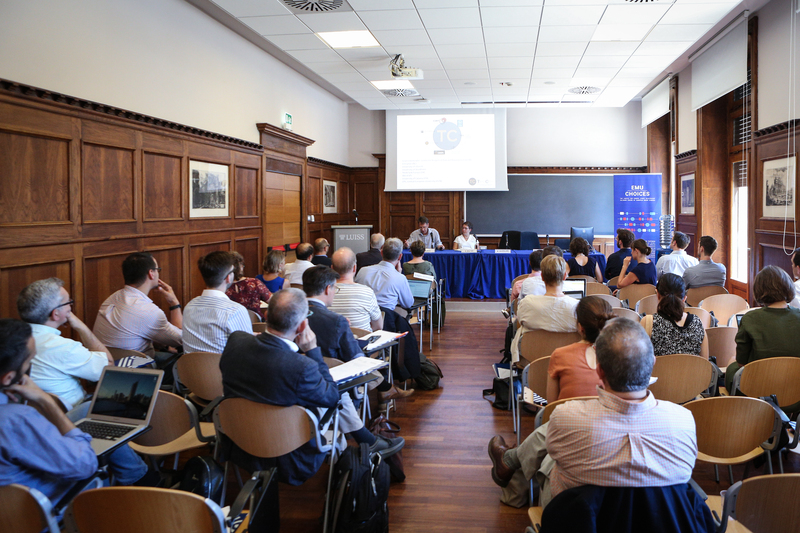 On July 6 and 7 the ‘EMU Choices’ Consortium hosted its Mid-Term Conference at the LUISS Guido Carli University in Rome. The ‘EMU Choices’ Consortium hosted its mid-Term Conference at the LUISS Guido Carli University in Rome. The conference consisted of a Roundtable on the EMU reforms in Southern Europe with distinguished policy-makers as well as of four academic panels, where senior scholars of EU political economy discussed our papers. Prior to the conference, Executive Committee met to finalize the research plans for the rest of the grant period ending in mid-2019. Giuliano Amato (former Prime Minister of Italy and serving Judge of the Italian Constitutional Court) opened the round table with the keynote speech on the experience of Italy and other member states with EMU reforms during the last decade. He pointed out that one of the problems was that Italy asked for Eurobonds (the mutualization of public debts), which polarized the EMU reform discussion. Asking for junior bonds for common investment, could have made it more productive. 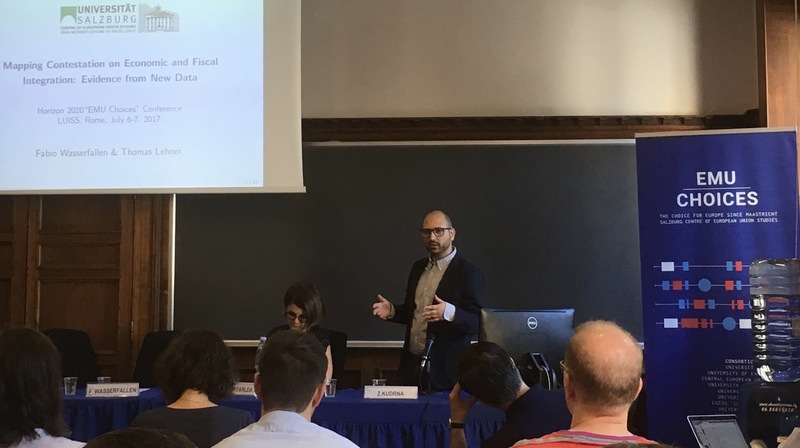 Fabio Francchino (University of Milan) presented his analysis of fiscal and economic preferences of the Five star movement voters, while Panos Tsakloglou (Athens University; former member of the EFC/EWG) discussed the development of the European Monetary Fund. All panelists noted need for the Franco-German leadership in reforming Eurozone and taming the populist actors. Jeffry Frieden (Harvard University) identified the short term need to restructure the debts either explicitly or implicitly through inflation, while arguing on the basis of US experience that credible no-bailout clause is sufficient substitute for fiscal union. 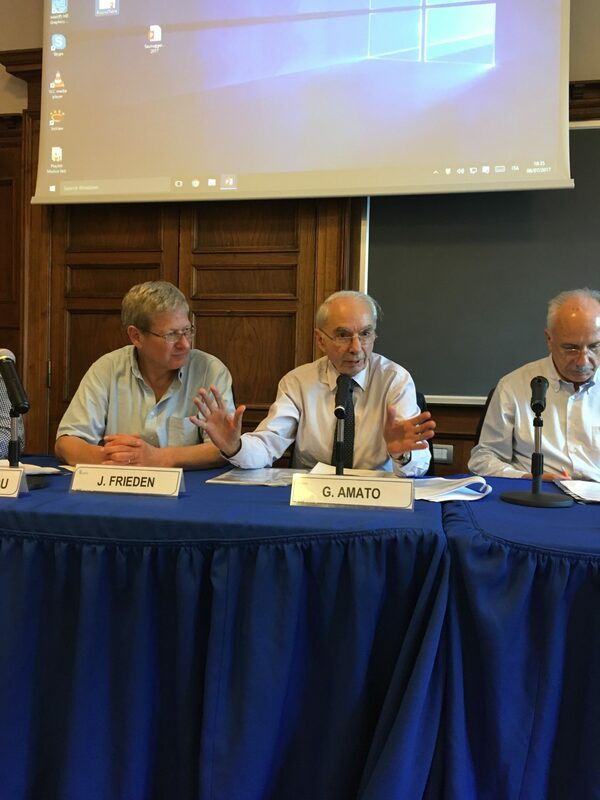 Finally, Paolo Guerrieri Paleotti (Sapienza University, Rome; Member of the Italian Senate) emphasized the importance of completing the banking union so that private banking and private capital markets – not federal spending – covers the costs of adjustment after the financial crises. The roundtable attracted an audience of about 50 scholars and students. 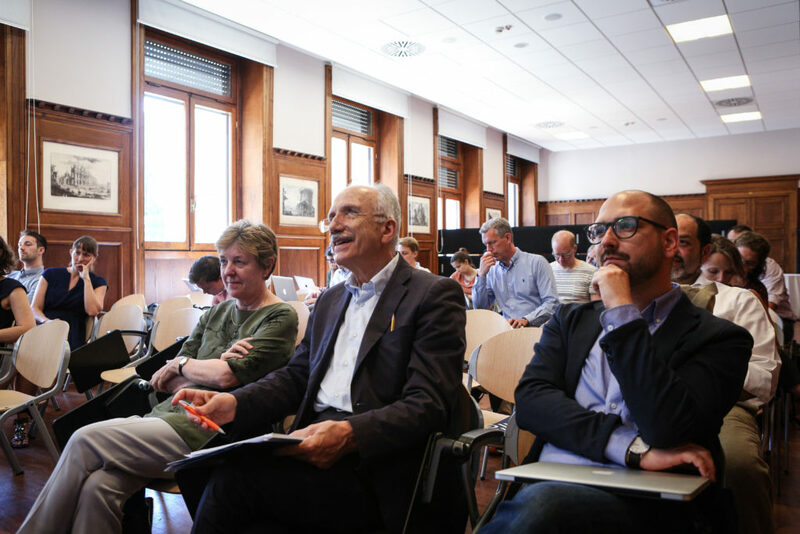 The feedback from discussion will be integrated into the forthcoming book edited by the Leonardo Morlino (consortium partner at LUISS, Rome) that is to be published with Palgave Macmillan. Each of the four academic panels was discussed by external researchers, including Jeffry Frieden (Harvard University), Stefanie Walter (University of Zurich), Fabio Franchino (University of Milan), Markus Haverland (University Rotterdam), Thomas Winzen (University of Mannheim), Ramona Coman (Free University of Brussels) and Martin Lodge (LSE). They provided a feedback on the diverse set of papers spanning qualitative case studies as well as quantitative analyses of the new datasets compiled by the consortium. Selected subset of papers from the conference will be published as a special issue, while all of them are released in our working paper series.